YOUR VEHICLE WAS ENGINEERED TO PERFORM. WE’LL HELP YOU KEEP IT THAT WAY. 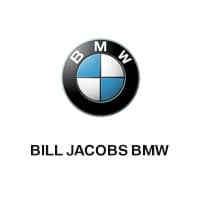 Bill Jacobs BMW knows what you want when you are purchasing your Ultimate Driving Machine or having maintenance performed. We strive for the Ultimate Dealership Experience, including excellent customer service during the buying process as well as a when your BMW is being serviced. Our 80,000 sq. ft. state of the art facility is second to none in the nation and represents our Ultimate goal – providing our customers with the Ultimate piece-of-mind. We also have one of the largest new and pre-owned BMW car inventories in Illinois, which will allow you to find that perfect vehicle.